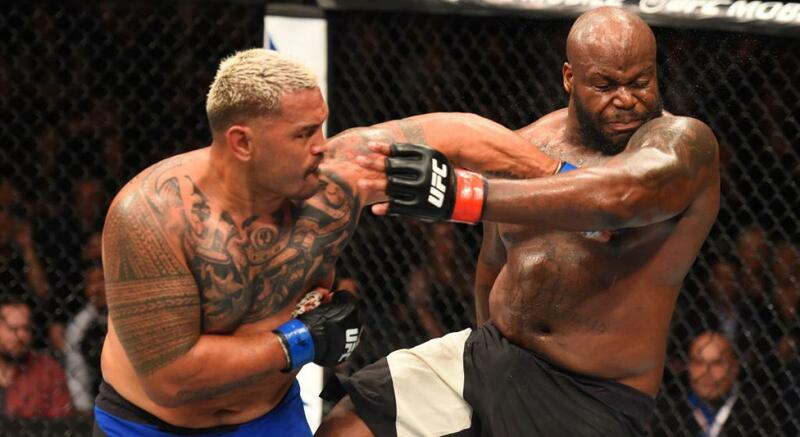 The UFC heavyweight division is in dire need of fresh contenders. That's the reason current UFC Heavyweight Champion Stipe Miocic isn't fighting a heavyweight for his next title defense, but rather a light heavyweight in Daniel Cormier. Miocic has pretty much cleaned out the division at this point, and instead of rematches, the UFC wanted to get him a fresh fight, which Cormier provides. But if Miocic wins the fight against Cormier, the UFC is back to the same problem it had before with a lack of fresh title contenders. Sure, a rematch against a guy like Fabricio Werdum could be booked, or even a rematch against Stefan Struve, but with Cain Velasquez not healthy enough to be counted on, those are pretty much the only options unless someone new emerges. That someone could be Curtis "Razor" Blaydes, who fights Mark Hunt in the co-main event of this weekend's UFC 221 pay-per-view event in Perth, Australia. Blaydes, who is just 26, was an accomplished amateur wrestler, and he's used those grappling chops to accumulate an 8-1 record with 1 NC in his MMA career so far, including an excellent 3-1, 1 NC record in the UFC. Seven of his career victories have come via TKO, and the one No Contest he had was actually another TKO win that was overturned due to a marijuana suspension in Texas. His only loss came against Francis Ngannou, and there's no shame in that. In fact, he arguably did better against Ngannou than anyone else has (besides Miocic, of course). 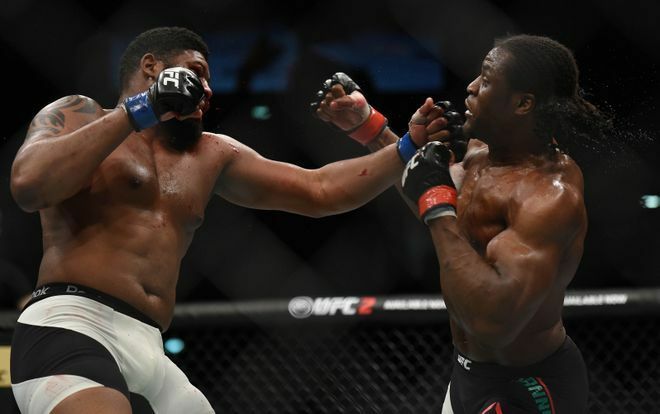 In his last fight, Blaydes picked up the biggest win of his career to date with a TKO win over Oleksiy Oliynyk, and that top-15 victory was enough to show the UFC that he deserved a step up in competition. 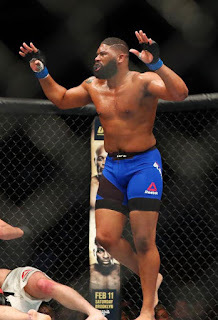 The UFC matchmakers certainly see what the rest of the MMA world does, so they are giving Blaydes a fight against Hunt to prove whether he belongs in the upper echelon of heavyweights in the UFC. Despite Hunt being 43, he's still one of the most dangerous heavyweights in the sport, and he is coming off of a destructive TKO win over Derrick Lewis. Hunt did have a hiccup when he was pulled from his fight against Marcin Tybura due to a brain injury scare, but doctors cleared him and he's good to go. Despite his advanced age, Hunt is still one of the most feared KO artists in the heavyweight division and is capable of knocking out any man with one punch. His takedown defense is a huge concern, which is why Blaydes is favored to win this fight, but as far as the striking goes, there's no doubt that Hunt has the edge, which makes for a very intriguing matchup. If Blaydes wins this fight, it puts him in very elite company in the heavyweight division, as Hunt almost only loses to champions and the best of the best. It won't be an easy fight for Blaydes, and he could very well get knocked out, but after his impressive run to open his UFC career it's good matchmaking here by the UFC to see if he sinks or swims. In a shallow division like heavyweight, a loss to Hunt won't set Blaydes that far back, but a win would propel him to possible title contention, with only one or two more wins after Hunt before he would get a title shot. Blaydes is a really good fighter and has been extremely impressive in the UFC so far, but this fight against Hunt is definitely a big step up in competition, so it will be interesting to see how it goes. The odds say Blaydes can implement his wrestling game, but Hunt's big fists make this a must-watch fight. A loss for Blaydes won't completely derail him since he's still so young in the game, but a win would push him near the Top 5 in the heavyweight division. 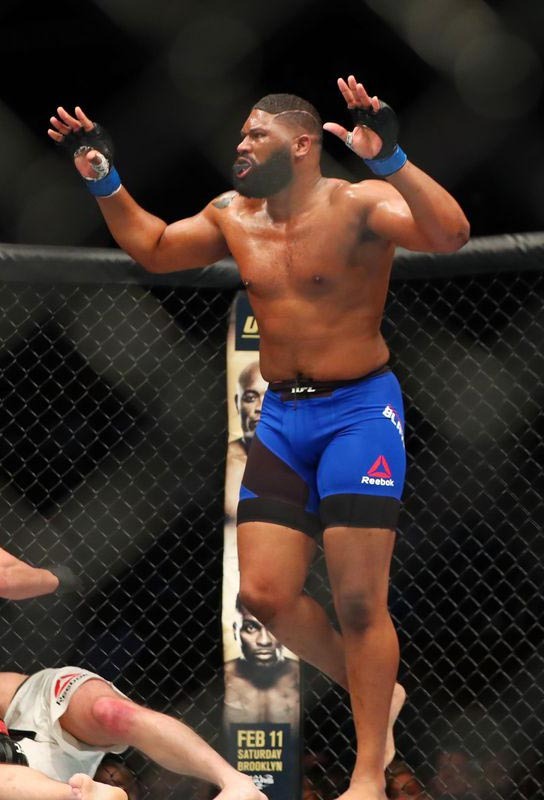 It's now up to Blaydes to go out there and perform, to show the UFC why he's a future challenger to Miocic, or whoever is holding the heavyweight belt in a year's time.